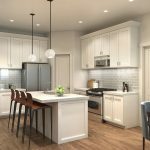 The developers of Black Rock Ridge have just released their new luxury condo collection which is going to be located south of south entrance - along highway 248. 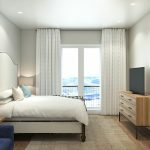 32 condos have been released for phase 1 - not yet listed on the MLS - 24 of those received reservations within the first day. 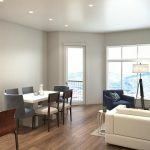 Black Rock Ridge Luxury Condos will consist of 193 condominium residences offering two bedroom floor plans on approximately 1,300 square feet of living space as well as two three-bedroom penthouses that are located on the top floor offering two-level living on almost 2,000 square feet. Buyers with a pre-construction reservation are able add a lock-out option to their residence to maximize rental income. 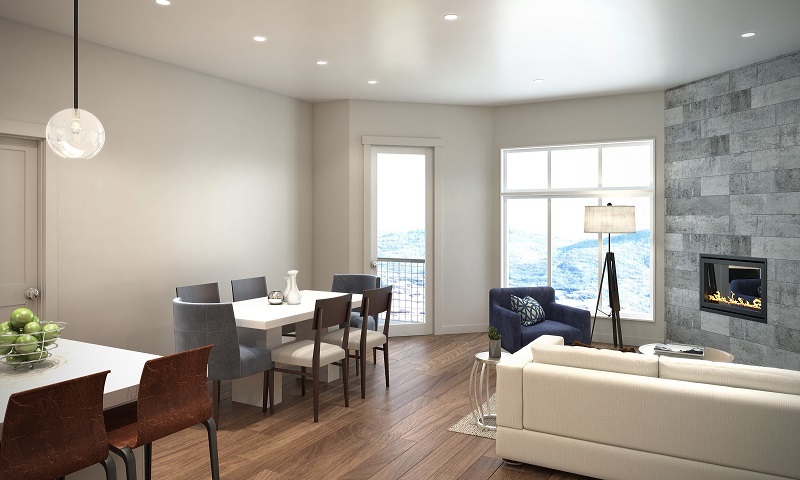 Amenities at Black Rock Ridge Luxury Condos will include a lobby, restaurant, market, spa, underground heated parking as well as access to conference rooms. Two ice rinks are planned to be added in the next few years to attract tournaments. Additional amenities can be accessed with a Black Rock Club membership. Those amenities include a year-round heated outdoor pool, hot tubs, fitness center, steam room, sauna, towel service and a private game room. 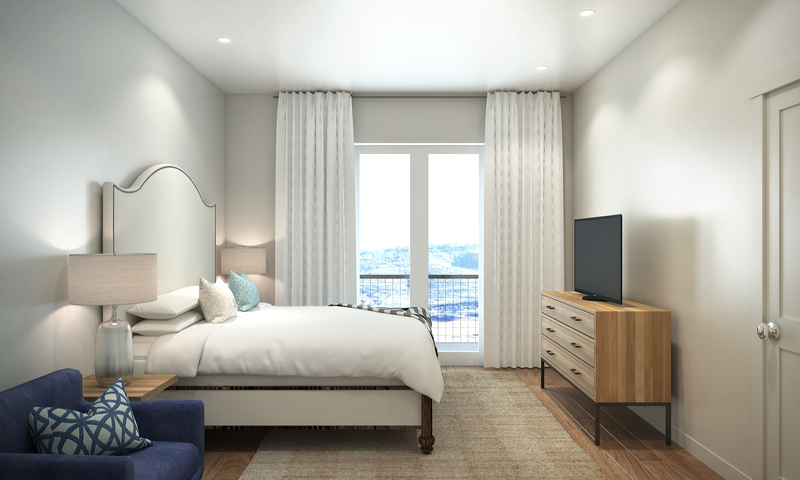 Long-term and nightly rentals will be allowed at Black Rock Ridge Luxury Condos. Condominiums will be sold unfurnished but furniture packages will be offered. Projected completion of the phase 1 is set for fall of 2018. 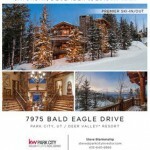 Insure that you have the best representation when buying and/or selling Park City Real Estate. Contact Real Estate Broker Steve Blankenship at 435-640-6966 for more information about the project and its reservation process. 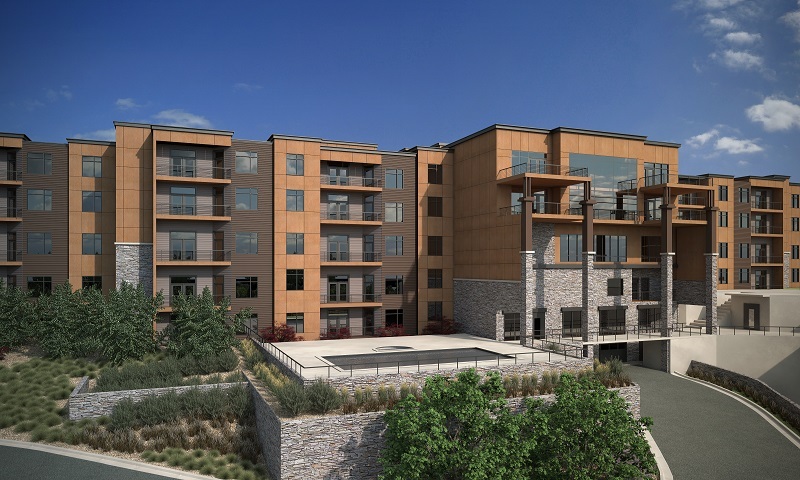 Posted in New Developments, Featured Properties, Park City Real Estate Deals | 0 Responses to "New Release: Black Rock Ridge Luxury Condos"
Deer Crest is one of the most exclusive neighborhoods of Park City real estate. The gated ski-in ski-out community sits on the backside of Deer Valley with easy access to Jordanelle Reservoir as well as St. Regis and lower Deer Valley Resort. Deer Crest is home to some of the most luxurious homes in the world. Here is your opportunity to own a townhome just outside the Deer Crest gates for only $1,400,000. These residences do not come up for sale often and when they do they usually sell very fast. 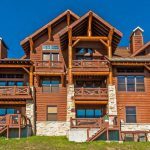 This fully-furnished townhome features 3 bedrooms, 4 baths on 2,354 square feet with vaulted ceilings, log accents, private decks with hot tub to enjoy the spectacular lake views , ski access and a 2-car garage. Contact KW Real Estate Broker Steve Blankenship at 435-640-6966 for more information on this spectacular deal. 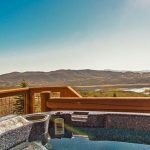 Posted in Featured Properties, Deer Valley, Park City Real Estate Deals | 0 Responses to "Best Buy: Deer Crest Townhome for Sale"
Looking to ski-in ski-out of your home in the winter and golf around your home in the summer? Then Canyon Residences will be just right for you. 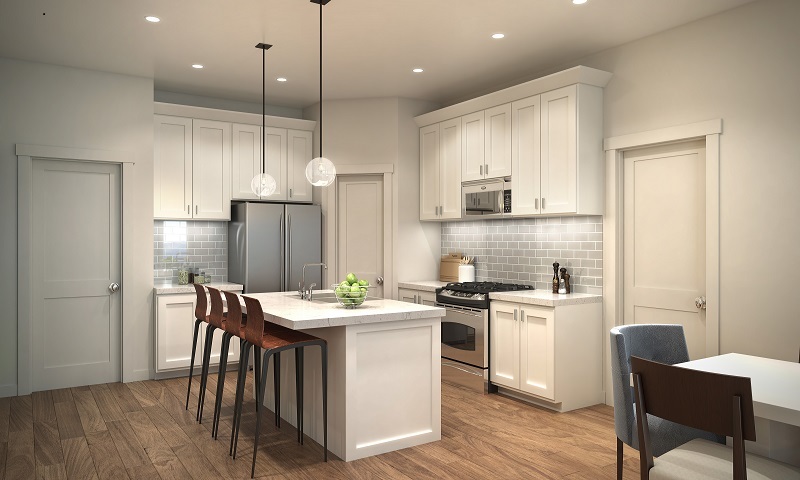 This new development located at Canyons Village will feature three single family homes overlooking the golf course and Frostwood ski runs. Walk out the door and take the Frostwood Gondola up to ski or mountain bike, or simply enjoy the amenities at Waldorf Astoria. Canyon Residences will feature exquisite finishes in an exceptional location. Choose between a four, five or six bedroom model. 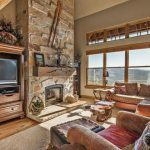 Contact Keller Williams Real Estate Broker Steve Blankenship at 435-640-6966 to receive more information on this one of a kind opportunity to own a ski and golf residence. 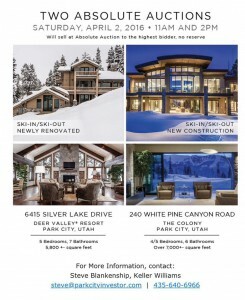 Posted in New Developments, Featured Properties, Canyons Village, Park City Real Estate Deals, Golf Real Estate | 0 Responses to "Canyon Residences - Ski & Golf Villas - Prime location"
These two amazing ski-in ski-out homes are going up for no-reserve auction on April 2. 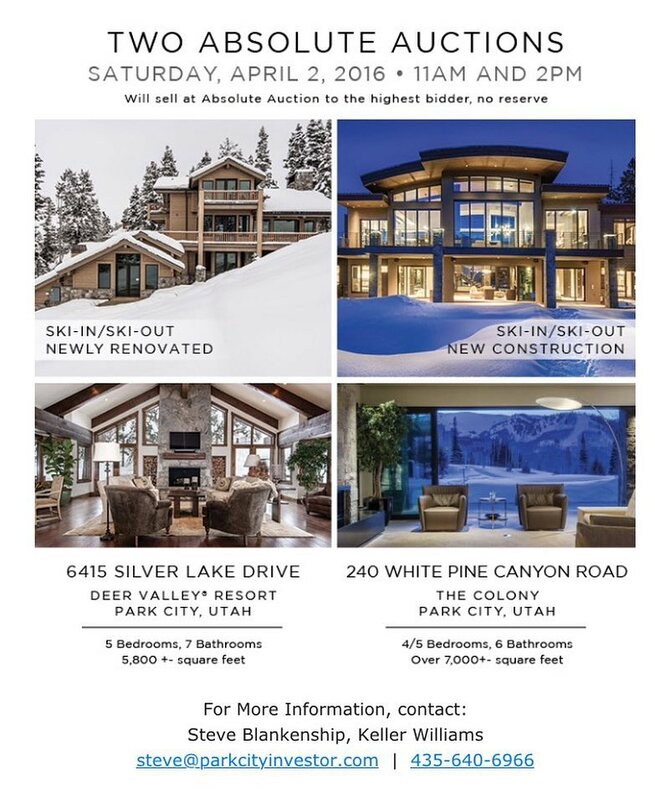 Contact Park City Real Estate Broker Steve Blankenship for more information about how to participate and/or to preview the residences. 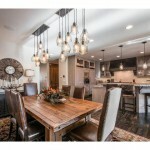 Posted in Featured Properties, Canyons Village, Deer Valley, Park City Real Estate Deals | 0 Responses to "Absolute Auctions in Deer Valley & The Colony"
This amazing property is located in the Deer Valley real estate area of Deer Crest. The exclusive gated community of Deer Crest offers some of the most luxurious single family homes and condominiums in the world. This turnkey townhome at Deer Pointe features four bedrooms and seven baths, a tiered theater room, wine cellar, top of the line appliances, hot tub, beautiful hardwood floors as well as a lower level bar and pool table. 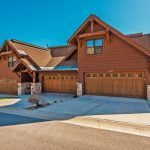 Deer Pointe is located just minutes from Jordanelle Reservoir and St. Regis Deer Valley. A Deer Crest Club membership can be purchased to enjoy shuttle service and amenities at St. Regis. Deer Pointe has its own private hill track elevator ski lift for easy access to the Deer Valley ski runs. Listed at $4.1 million. 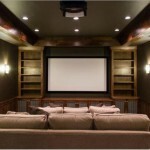 Contact KW Real Estate Broker Steve Blankenship for more information at 435-640-6966. 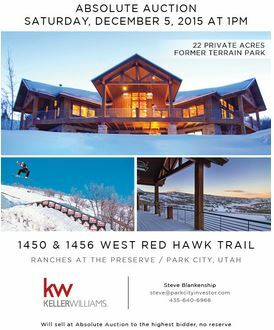 Posted in Park City Real Estate, Featured Properties, Deer Valley, Park City Real Estate Deals | 0 Responses to "Featured Property: 2373 Harmony Drive, Deer Crest"
Construction is almost complete at Blackstone Residences and great incentives are offered for every buyer who closes on one of the 13 remaining residences before the end of the ski season. Call Steve Blankenship at 435-640-6966 today to learn more about about special pricing and to receive more information on other incentives. 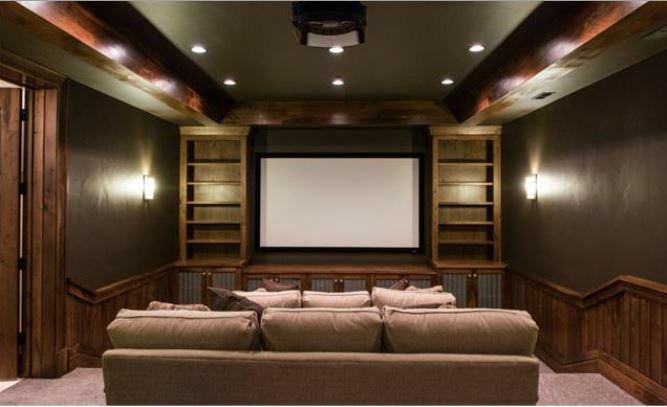 Posted in New Developments, Featured Properties, Canyons Village, Park City Real Estate Deals, Golf Real Estate | 0 Responses to "Great incentives for remaining Blackstone Residences"
Park City & Deer Valley Real Estate Auctions! Last Minute Registration! These amazing properties will be auctioned off with NO Reserve on Saturday, December 5, 2015. This is your chance to try and get one of these luxury properties for a great deal. Contact KW Real Estate Broker Steve Blankenship at 435-640-6966 for more information. 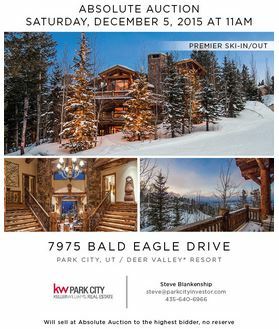 Posted in Park City Real Estate, Featured Properties, Deer Valley, Park City Real Estate Deals | 0 Responses to "Park City & Deer Valley Real Estate Auctions! Last Minute Registration!" 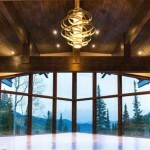 Absolute Auction - 132 White Pine Canyon Rd. 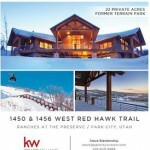 This is your chance to own one of the most beautiful properties in Park City, Utah. 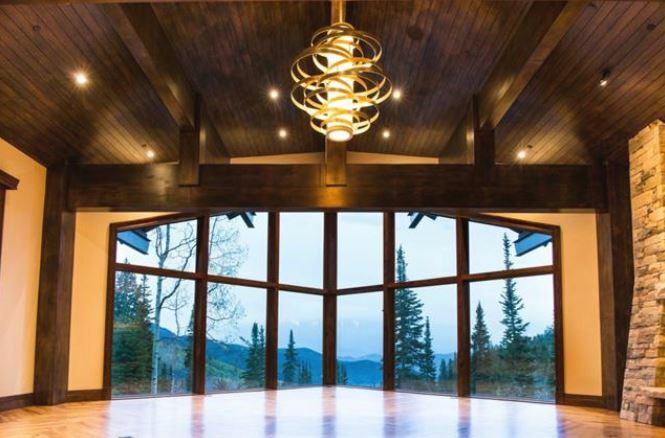 Located on 21.7 acres this unique ski-in ski-out residence at The Colony at White Pine Canyon has never been on the market before. It was built in 2007 and features over 16,000 square feet of luxurious living space with six en-suite bedrooms, 10 total baths, an entire master suite wing, a chefs kitchen, 13 massive stone fireplaces throughout the house, a wine cellar, music room, library/office, a theater room that seats 14, a ski prep room and an amazing outdoor space with ponds and waterfalls. 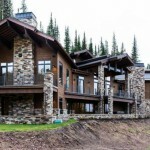 Two ski runs pass directly by the house and the home is accessible for skiers of any level. In fact Park City Resort grooms trails all the way to the back patio. 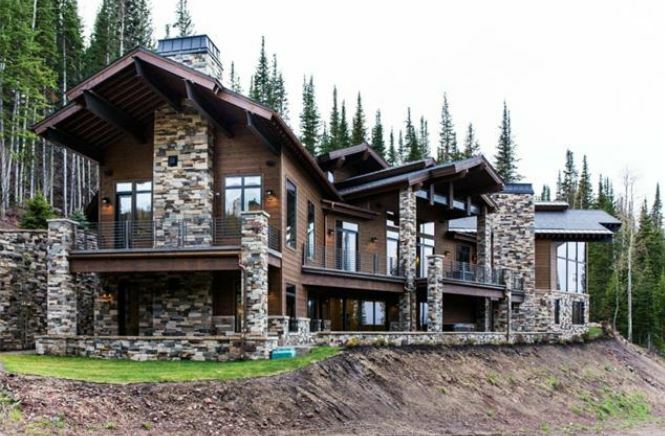 This home is located at the very top of the Colony at White Pine Canyon and the mega merger of Park City and Canyons Resort is putting it right in the heart of the new super resort. Current List Price: $19,950,000 Property could sell before auction if reasonable offer is presented. Contact Canyons Real Estate Specialist Steve Blankenship at 435-640-6966 for more information and a showing of this property. 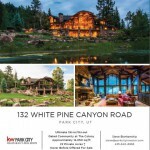 Posted in Featured Properties, Canyons Village, Park City Real Estate Deals | 0 Responses to "Absolute Auction - 132 White Pine Canyon Rd." Promontory To Raise Social Membership Fee! Starting September 1, 2015 the price for a Promontory social membership will go up from $50,000 to $75,000. "Each person who acquires a Social Membership will be entitled to use all of the tennis, swimming, fitness, and trail riding facilities of the Club (excluding the private Equestrian Center facilities). Social Members are also entitled to use the social facilities in the Ranch Clubhouse and the Shed Clubhouse. Social Members are welcome in the Clubs Alpine Lodge at Upper Deer Valley, however, Full Members may be allowed priority use of lockers in that facility." Golf privileges are not included in a Social Membership. Equestrian and Full Memberships are available as well. Pricing for those will stay the same. With well over 110 real estate transactions to date for 2015, Promontory is by far the hottest private golf community in the greater Park City area. Many of the lots will soon be unattainable at their current prices ranging from only $99,000 to $1.4 million. Homes are priced from $999,000 up to $25 million. To secure a membership at current pricing you need to have a home under contract by August 31, 2015. Search Promontory real estate and contact Real Estate Specialist Steve Blankenship at 435-640-6966 for more information. Posted in Park City Real Estate, Featured Properties, Park City Real Estate Deals | 0 Responses to "Promontory To Raise Social Membership Fee!" 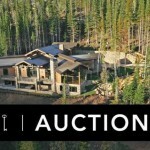 Auction at The Colony at White Pine Canyon! The Colony at White Pine Canyon features some of the largest ski-in ski-out homesites in the country. 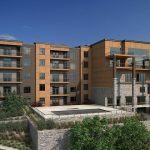 Property values will likely skyrocket as the new Interconnect gondola linking Park City and Canyons Resort will be located within the exclusive gated community. This being said the Colony at White Pine Canyon will be the only ski-in ski-out community with easy access to both parts of the nations largest ski resort. Owners can walk out their doors, jump on one of the 4 lifts that were already built specifically to service their homes, and ride the gondola over to PCMR for the day. The Colony is therefore our investment tip of the week. The residence up for auction is located on approximately 5.73 acres of private land and offers 11,500+ square feet of living space. It features a state-of-the-art chef's kitchen, six bedrooms, eight and a half baths, spectacular views, a theater room, wine cellar, ski-prep room, fitness room, sauna, steam room, outdoor hot tub and a three-car heated garage. 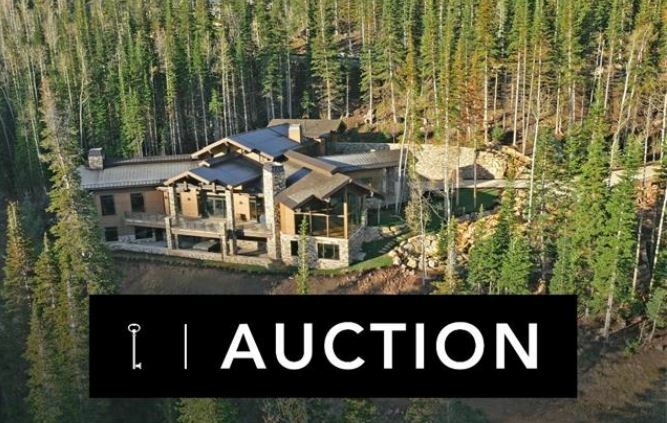 Auction is scheduled for June 27th and the property will sell to the highest bidder at/or above the $5.99 million reserve. The property is currently listed for $7.950 million. Contact Canyons Real Estate Specialist for more information about bidding on this beautiful property, a showing, comps and how to possibly purchase it before it goes to auction! 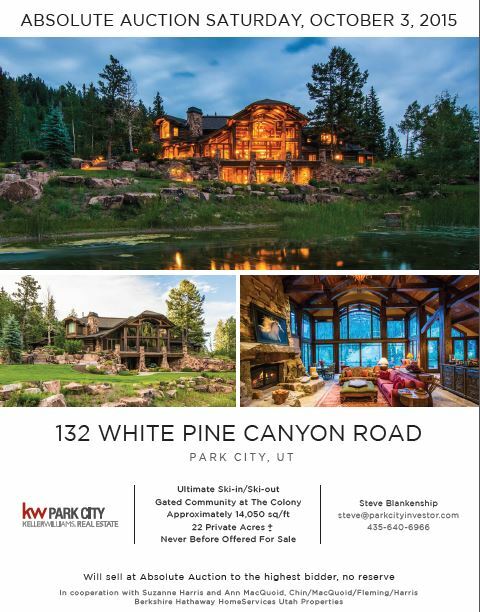 Posted in Park City Real Estate, Featured Properties, Canyons Village, Home Buyer Tips, Park City Real Estate Deals | 0 Responses to "Auction at The Colony at White Pine Canyon!"